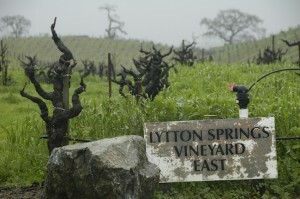 Much is made of the term ‘old vines’ when it comes to Zinfandel. You see it on websites, in reviews, and in sales pitches for the wines. Quite often it appears on the label or as part of the name. “Oooh, this Zin is so good. It must come from really old vines*,” is what many wine drinkers have been trained to say. Is vine age always a virtue? Think about how often you see ‘old vines’ used when talking about Chardonnay. Little to none. Same with Sauvignon Blanc, Merlot, Pinot Noir, and many others. (The only other grapes that seem to be discussed in terms of vine age are the old Mediterranean varieties of Mourvedre, Grenache, and Carignane). So why with Zinfandel? What does the age of the vine have to do with quality? Many varieties that we know and love (Chardonnay and Cabernet are prime examples) have about a 30-50 year range of peak vine age before they start to slow down. But more importantly, the quality of the grapes does not continue to escalate as Chardonnay and Cabernet vines go into old age. There are incredible examples of top quality Cabernet being made from vineyards under ten years old. But some varieties seem to increase in quality while decreasing in yield as the vine ages. These varieties are the few where the term “Old Vine” comes into importance because it honestly translates to increased quality. Think of the lifespan of a Zinfandel vine as equivalent to that of a healthy human being (many of the oldest zinfandel vines are over 100 years old). For the first ten years of its life, it is a child — sassy and young and full of vigor and rather uncontrolled. You can see this in the younger vine plantings throughout California. They have shoots popping out every which way. They constantly need tending, and if left to their own devices it would be a Lord of the Flies situation, with them taking over the vineyard in quick order. Enter the teenage years of a Zinfandel vine, and like human teens they are a bit out of control while they figure out their role in life. (In terms of yield, many of these young vines are churning out 5-8 tons per acre). But with the right coddling and advice (forced upon it by pruning) it starts to figure out its place in the world. As a Zinfandel vine enters “middle age” is settles into a pattern of consistency and higher quality (like us humans do between 30 and 50 years old). For many vines these are the golden years, pumping out great grapes without needing as much attention as when they were younger. A well tended 30-50 year old Zinfandel is prized for this combination of consistency and productivity. Once a vine gets to be about 75 years old, it starts producing drastically lower yields (maybe one or two tons to the acre, naturally) and that fruit is of truly incredible quality. Darker, richer, spicier, and packed with all the goodness you are looking for in Zin. These are the wise old men of the vineyard, the elders. 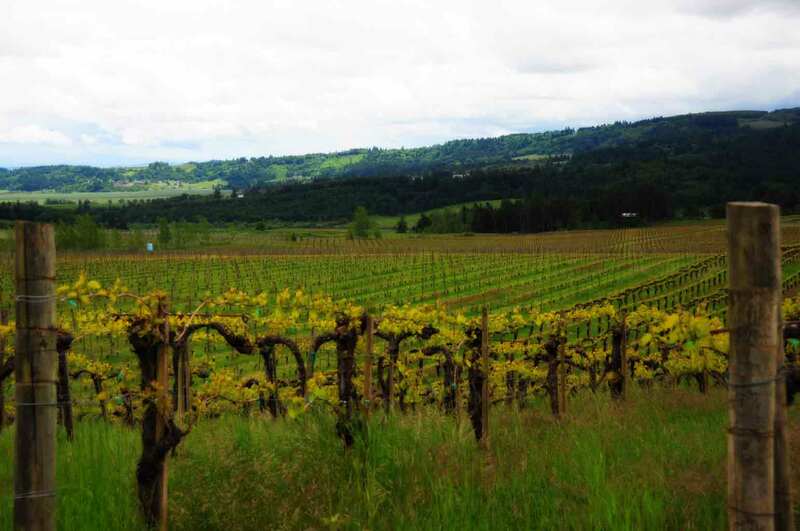 For example, the Ridge Geyserville vineyard, a field blend of Zinfandel, Petite Sirah, Carignane, and others contains vines planted only thirty years after the Civil War. In Contra Costa County, just east of San Francisco, the sandy soils kept phylloxera at bay and allows Cline to make their Ancient Vines Zinfandel from parcels over 100 years old (by far, without any doubt, the most affordable wine from vines of such age). And thank the wine gods for White Zinfandel, for it saved many of these old vineyards from destruction. From the mid 1970’s into the early 1980’s there was so little demand for true Zinfandel that many of the great old vines we cherish today were set to be removed and replaced with the more popular Chardonnay and Merlot grapes. But the demand for the next new thing (White Zin) gave many producers (including Cline, Ridge and Pedroncelli) a market for those grapes and a reason to keep the old vines in the ground. So the next time you walk by the White Zins, give a quiet nod to the bottle and whisper thank you for saving some of the great old vines of California. *(Keep in mind the term “Old Vine” has no legal meaning in the United States. A vineyard can be five years old and still be called “Old Vine”. However, all of The Wine Company’s producers take the term seriously and many have a statement of “Old Vine Definition” that ensures 50+ years old as the minimum).